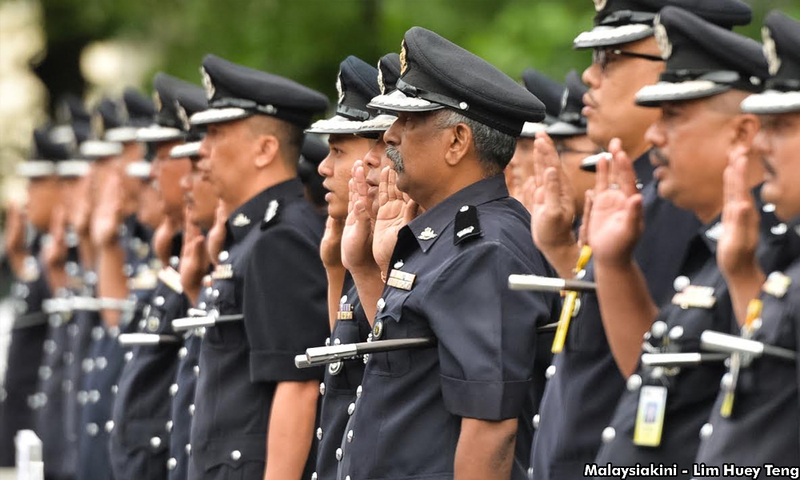 Malaysiakini : COMMENT | The Royal Malaysian Police Force’s apparent “selective efficiency” gives us cause for serious concern. While on the one hand, they seem to be super-efficient at apprehending alleged “international terrorists”, at other times their ignorance of the disappearance of innocent Malaysians is mind-boggling. From Suaram’s Human Rights Report Overview 2017, there were 64 alleged terrorists detained out of a total of 280 who were detained without trial. Unless they are charged and sentenced in court, we will never know if these are real terrorists as alleged by the police. However, we are also aware of the fact that in 2009, the Indonesian police killed alleged Malaysian terrorist Noordin Mat Top, who (as far as we know) had never been detained without trial in Malaysia before. This goes to show that alleged international terrorists like Mat Top do slip by the surveillance net of the police. But the more bizarre aspect of our Malaysian police is seen when they express complete ignorance over the whereabouts of non-terrorist related Malaysians. 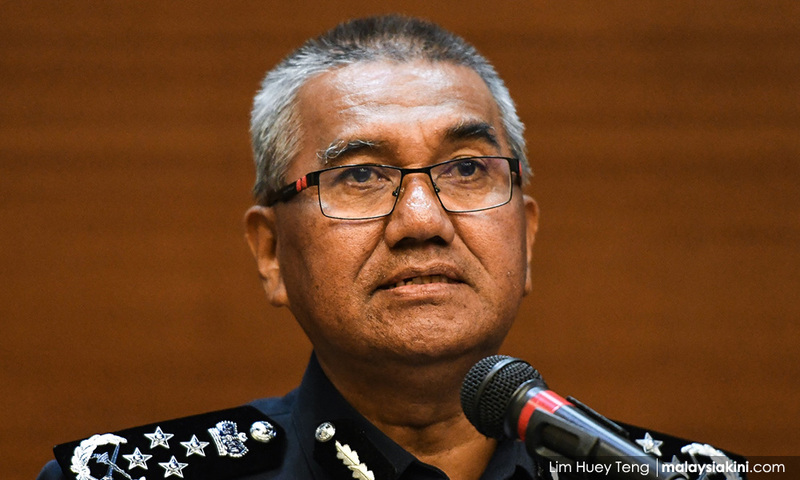 The statement by Inspector-General of Police Mohamad Fuzi Harun (photo) yesterday that M Indira Gandhi’s former husband is still believed to be in the country, but that the authorities have no idea where he is, is an astounding example of this selective efficiency of the Malaysian police. Likewise, the Malaysian police seem baffled by the disappearance of pastor Raymond Koh and others. 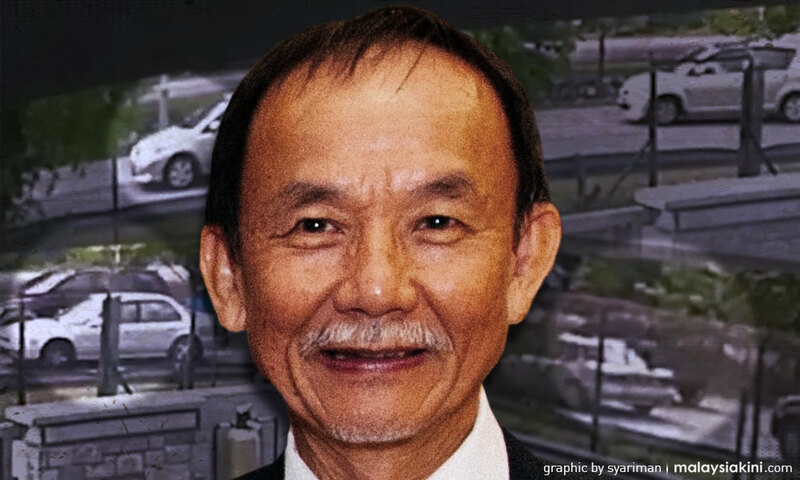 During the recent public inquiry by the Human Rights Commission of Malaysia (Suhakam) into Koh’s disappearance, Suhakam commissioner and former Court of Appeal judge Mah Weng Kwai asked ASP Supari Muhammad, the investigating officer in charge of the Pastor Raymond Koh abduction case, if Koh had left the country or was still alive. “I have no idea,” Supari said. Koh’s family lawyer Steven Thiru then asked Supari, “Since you have said you are unsure about the role of other police departments in the case, can you tell me with any degree of certainty, if Pastor Koh is currently held in police custody?” Supari said he was unsure. Koh, 63, was abducted from his car by a group of more than 10 men in a convoy of vehicles on Feb 13, 2017. CCTV footage showed at least three black SUVs were involved in the abduction. Another missing Malaysian, Amri, 44, who co-founded charity organisation Perlis Hope, has been missing since Nov 24, 2016. His wife, Norhayati Ariffin, said witnesses saw five vehicles blocking the path of Amri’s car before he was whisked away, just 550 metres from their home in Bukit Chabang, Perlis. Then there is also the abduction of Joshua Hilmy and his wife, Ruth who were last seen on Nov 30, 2016. What has been done over Wang Kelian mass graves? The shocking discovery of mass graves of trafficked migrants near the Malaysian-Thai border in May 2015 brings into question the priorities and effectualness of the Malaysian police. The police revealed 139 sites, some with multiple corpses. Not only NGOs such as Tenaganita have been telling us about this but also an Umno state assemblyperson from a northern state also said he had known about these camps used by human traffickers near the Thai border for years. So how is it that the Malaysian police have not taken any action against these human traffickers who have been operating with impunity for years? More importantly, who have the police apprehended over these heinous crimes since 2015? The police have been trained and tested since the days of the Emergency which started in 1948. They have fought insurgents in the jungle as well as in the urban areas for more than thirty years. The methods used by the Malaysian police have often been found to be excessive but they have proven that they can nip any altercation very swiftly when they want to. 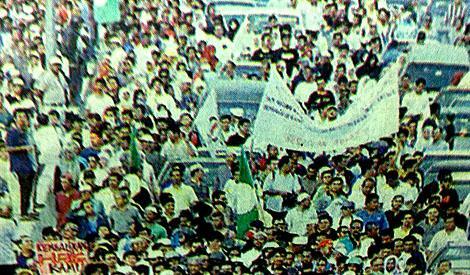 This was exhibited during the Kesas Highway demonstration in 2000 when the police could break up a 100,000 people demonstration in minutes, albeit using brutal means. Having said that, the Malaysian police have been found to be tardy at various points in our history. During the May 13 “riots” after the general election in 1969, the pogrom continued until July 1969 when the security forces only then truly demonstrated their professionalism. Similarly, when ethnic Indians were the victims of racial violence at Kampung Medan in 2001, the thugs were allowed to go on the rampage from March 8 to 13 when it should have been nipped in the bud as soon as it happened since Kampung Medan is such a small enclave in Petaling Jaya. The Malaysian Special Branch prides itself with being one of the best in this part of the world but at times, such as the violent disruption of the Asia Pacific Conference on East Timor on Nov 9, 1996, the police arrived one whole hour late, long after the mob had done its dirty work. We hope that the IGP and the government can give us an assurance that such lapses in the professionalism of the Malaysian police do not occur again. We want to see peace, security and trust between the police and the people and not evidence of incompetence as in the cases cited above.